I attended a very interesting lecture today in Normandy. The lecturer, Carlos Pimentel, talked about the origins of pluralism as a political phenomenon. He analysed the birth of bipartisanship in England, and its gradual acceptance. He explained that at first, political parties were denounced as being seditious and they were associated with civil strife. They were condemned because they were seen as threats to the social order, the national consensus, and the unity of the State. He showed how political parties introduced in British politics a dual tension, that of consensus and conflict. I though it would be interesting to apply his analysis to what’s happening in Lebanon. 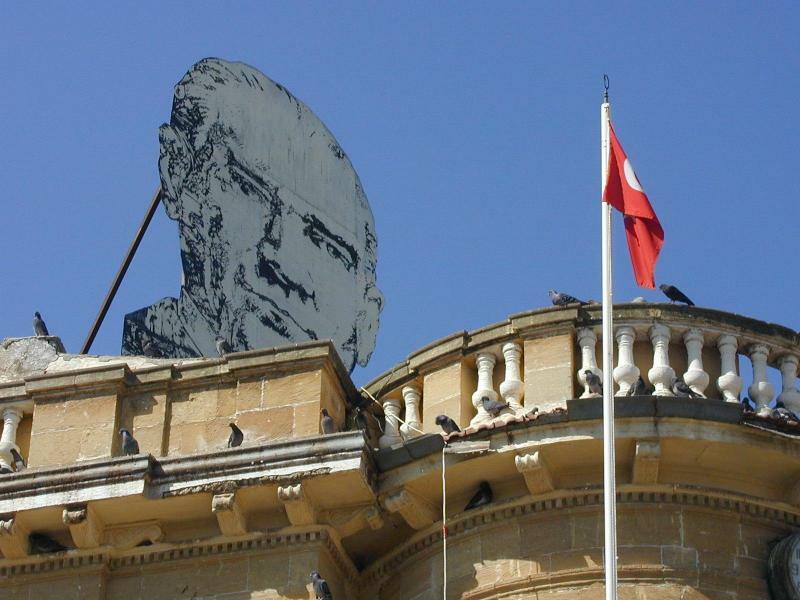 Following their active participation in the Civil war, and almost systematic transformation into armed militias, the Lebanese political parties were much discredited. New political groups hesitated to call themselves parties in order not to be linked or equated with militias; two of the largest political formations in Lebanon consequently call themselves Tayyar (which means ‘Current’ or ‘Trend’ but is usually translated to ‘Movement’): The Free Patriotic Movement (FPM) and Future Movement (FM). Similarly to late 17th century England, political polarisation in Lebanon is extreme. But instead of having two opposing parties such as the Whigs and the Tories, Lebanon has two large, heterogeneous and cross-communal coalitions. On one side, we have the parliamentary majority coalition spearheaded by Hariri’s Future Movement [mostly Sunni] and Joumblat’s Progressive Socialist Party (PSP) [quasi exclusively Druze]. On the other, we have the new opposition led by Hassan Nasrallah’s Hezbollah [Shiite based] and Aoun’s Free Patriotic Movement (FPM) [Christian based]. This polarisation has brought about a very intense nation-wide debate over conflict and consensus. Many accusations (and curses) are exchanged by both sides, and the opponent is often perceived and denounced as a foreign agent, a tool used by foreign powers to achieve their aims in Lebanon. This accusation is widespread in cases of extreme polarisation. It shows a crisis in confidence between two opposing parties. The conflicting element overrides the initial consensus admitting that both parties are legitimate players in the political game. In the case of Lebanon, the confessional diversity and the communal polarisation (Sunni and Druze on one side, and Shiite on the other) obviously complicate the matter. Asile, a French NGO, set up a Franco-Palestinian friendship house in Beddawi, a Palestinian camp situated a couple of miles north of Tripoli. Two days ago, there was trouble in this camp, after the police discovered an arm stash. But this didn’t stop us from going there. It was the third time this year I entered a Palestinian camp. During this first visit, I started to notice how familiar they had become to me. Architecturally, they didn’t differ much from the neighbouring towns or cities. The only distinctive signs were political, and they were to be found everywhere, on walls, on banners, in street names… All posters, names, graffiti, wall drawings, streamers and flags were political, and they all referred to Palestine. The Franco-Palestinian friendship house has been operating in Lebanon for several years now. Its main activity takes place in summer when a team of artists, educators, journalists and animators fly in from France to start a three week workshop that is proposed to children living in the camp. The team that operates the house is entirely Palestinian and quite young and dynamic. They are now proposing academic support lessons to children, and some cultural activities (such as a weekly film projection). I really enjoyed the dynamism in this group and would greatly enjoy working with them. They are all Palestinian francophone. They graduated from the handful of francophone schools UNRWA operates in Lebanon. I wonder if we could associate them in the coming future to a program managed by Peace Initiatives in collaboration with AILES, a Lebanese association proposing similar activities. This could help to bridge the two communities and to increase the outreach of the programs of each association. What never fails to amaze me is the extent to which the Palestinian accent is preserved in the Palestinian camps, some Lebanese expressions are used, and some Palestinian expressions are dropped, and I’m sure the Palestinian living in the camps no longer share the dialect spoken by those still living in Northern Israel, but they retain inflections, expressions and an accent that is easily identifiable as Palestinian. But those who have been to a Lebanese University to complete their studies also master the Lebanese dialect and can quite aptly switch from one to another. This duality is also to be found during presentations when they decline two geographic identities, that of the village their forefathers left in Palestine, and that of the camp or Lebanese locality they live in. In 2002, the world was surprised to hear that the suicide bomber that had just exploded himself in a shopping mall in Israel was actually a woman. Up to then, all suicide bombers had been men. Accordingly, the Palestinian male population that was over 15 and under 70 became suspect. They were seen by Israelis as being potentially suicide bombers. When a young woman exploded herself, almost every Palestinian could be suspected by the Israelis of being a suicide bomber. Two days ago, a 57 year old woman, Fatma Najar, became the first grandma kamikaze. She was the mother of 9 children and the grand-mother of over 20 kids. In a tape she had recorded before dying, she claimed to have been sent by Hamas on this suicide mission. “I offer myself as a sacrifice to God and to the homeland,” she said. One of her sons, Fuad (31 y/o), told the press that he was very proud of what his mother did. “God is greatest” (Allahu Akbar), he added. This attack is unquestionably criminal, even though it is meant as a form of resistance to Israeli occupation. But it is also very tragic because it shows how desperate the Palestinians are today and how worthless and meaningless life has become to many of them. One cannot help but remember the Palestinian film ‘Paradise Now’ that portrayed the last days of two palestinian suicide bombers. Samir Chartouni, Pierre Gemayel’s bodyguard shot dead on Tuesday, was brought back to his native village of Chartoun (in the Aley region) for his burial. The convoy that transported him was stopped in Aley by PSP militants, who took his coffin draped in the Kataeb flag, and carried it on their shoulders to Chartoun. The image was quite striking because these two parties had fought each others in 1983 and the war that ensued resulted in ethnic clensing and the expulsion of the Christians of Chartoun by the Druze militia (PSP) that attacked them from Aley. This image seems to translate the intercommunal reconciliation that Walid Joumblatt mentions so often: Druze and Christians, PSP and Kataeb, comming together, accepting one others, admitting their political differences and uniting nevertheless. But how does that reconciliation operate? How can one explain that Druze villagers and PSP partisans accept to carry a coffin wrapped in a Kataeb flag, the symbol of their ‘traditionnal ennemy’? Are bygones really bygones? One can only hope that they are, but it seems quite unlikely. One must keep in mind that the reconciliation process was State funded and Zaïm operated. No tribunal or commission was set up to estimate the damages incured by the ‘displaced’, and the authority that was incharge of the file chose a very personalised manner to conduct the process. Instead of working on indivudual bases, it decided to operate on collective ones, village by village, through a ceremony in which the reconciliation was solemnly declared. One must keep in mind that the reconciliation process was State funded and Zaïm operated. No tribunal or commission was set up to estimate the damages incurred by the ‘displaced’, and the authority that was in charge of the file chose a exceedingly personalised manner to conduct the process. Instead of working on individual bases, it decided to operate on collective ones, village by village, through a ceremony in which the reconciliation was solemnly declared. Through this means, the returnees who had been ethnically cleansed out of the region, and their former foes (who had participated in their expulsion, or profited from it). Through this mean, the populations of the areas that suffered the displacement were not given ownership of the process. This was left in the hands of their political leader. It is true that the two communities are brought together, but through the mediation of a Zaïm in the beginning, and then several. In other words, a distance is kept between the two communities so that the Zaïm could keep on “bridging” them together. But what happens when he decides to break with one community? Would the flock that he controls through varried means keep the ties or follow him? Since yesterday evening, journalists and politicians alike have been speculating on the identity of the perpetrator. They have been asking themselves the very classical whodunit question: who benefits from the crime. This kind of questionning is not very helpful because instead of revealing the criminal’s motives, it constructs a theory founded on hindsight. The Syrian regime has argued justly that its opponents in Lebanon have gained the most from Gemayel’s death. It enabled them to mobilise hundreds of thousands of Lebanese in support of the Government at a time when the opposition was preparing for demonstrations. It also tightened the alliance between the Lebanese opponents to the Syrian regime and strengthened the Christian parties within this alliance. Put together, the Kataeb, the Lebanese Forces, the National Bloc, the National Liberal Party, the Democratic Left and the Democratic Renewal party hardly mustered a third of the Christian votes during the 2005 parliamentary elections. The killing of a Gemayel, an important political symbol for the Christians, triggered a strong emotional wave in the Christian regions that was greatly exploited by several political parties and the media that is linked to them. This wave was directed against Michel Aoun, the leader of the Free Patriotic Movement (FPM), who gathered most of the Christian votes in 2005. His portraits were burnt, the party flags destroyed, his supporters harrassed and blamed as being responsible for the killing. Amine Gemayel, the father of the assassinated Minister, refused to talk to Michel Aoun and accept his condoleances. And flags of the Kataeb party were raised everywhere. Pierre Gemayel’s funeral was transformed into a massive political rally and those who participated in it or watched it, felt that they were witnessing the rebirth of the Kataeb, once Lebanon’s largest party. This exploitation has encouraged supporters of the FPM to claim that the assassination was an inside job done by someone within the governing coalition. In other words, the polarisation within the Christian community is so strong that most people hold very improbable views and elaborate conspiracy theories holding the FPM accountable to the minister’s death, or one of the former minister’s political allies. As one minister said, if they go on with these theories, they will soon be claiming that Pierre Gemayel actually committed suicide. Pierre Gemayel was Minister of Industry in the present government. At age 34, he was the youngest member of the Council of Ministers in which he represented the Kataeb party. He was the eldest son of the former President of the Republic, Amine Gemayel, and grandson of the founder of the Kataeb Party. During the last parliamentary election, he ran in the Metn, a constituency that had been dominated politically by the Kataeb for decades. It is in this region that his family, the Gemayels, have their hometown (Bikfaya). They are considered to be one of its important political families alongside twenty or thirty others. The political ascension of the Gemayel family started in the 1930s with the foundation of the Kataeb party (also known as the Phalange party) and its gradual rise to power. From the late sixties until the mid eighties, this party was considered to be Lebanon’s largest in number of MPs, adherents, and socio-political weight (strength in the public administration, local councils, the syndicates and the media). Pierre Gemayel’s grandfather and namesake was one of the party’s founders and became its undisputed and unrivalled leader for over 40 years. He was very often minister and two of his sons, Bachir and Amine made it consecutively to the Presidency in 1982. But after the assassination of Bechir Gemayel, the unpopular presidency of Amine Gemayel, and the natural death of their father, the Gemayel family and the Kataeb party lost ground and started decomposing. In the 2005 parliamentary elections, the Kataeb was unable to get any of its candidates elected without the support of its allies or opponents. In Baabda-Aley, it owes its success to Muslim and Druze votes, gathering a little more than a third of the expressed Christian votes. In the Metn, which was considered the bastion of the Phalange and where the Gemayels portray themselves and behave as a prominent family of feudal rank, Pierre Gemayel was the only member of the former opposition slate to make it through, with approximately a third of the expressed votes and only because the rival and triumphant slate had left an empty seat for him or his ally, Nassib Lahoud (another member of a political family), to fill. Withstanding his meagre political score, the “March 14th Alliance” (Hariri’s Future Movement, Joumblatt’s PSP and a cluster of local Christian politicians) chose him as one of the Maronite ministers in Siniora’s government. And since then, this alliance has tried to portray him as a Christian leader (alongside Nayla Moawad, Samir Frangieh, Amine Gemayel and Samir Geagea), with the support of most of the Media and prominent Maronite clerics, to give him the “Christian” credentials and legitimacy that he lacks. Thus, calling him a ‘key politician’, a ‘prominent leader’ or ‘Christian political leader’, as the press has been dubbing him since his death seems to be somewhat of an exageration. Nevertheless, his name resonates in the Christian community and carries a very strong symbolic weight because of what his grandfather and uncle represented. They came to represent the symbols of Christian political and military power starting in the sixties and culminating during the civil war when they controlled the Christian ‘heartland’. As a politician, Pierre Gemayel (the younger) was very vocal in his criticism of Syria and Iran, and those that he accused of being their allies: Amal, Hezbollah, the FPM (Free patriotic movement). His political foes called him Pipo-pebble (Pipo being a common pet name given to Pierre, and pebble is a reference to his grandfather who was called the ‘Rock’ a pun derived from the meaning of his Christian name, which signifies ‘stone’ in French). With the help of a very supportive media, the backing of the governing political class and due to his personal human qualities, he seems to have benefited lately from a growing support. Moreover, one can say that he was one of the many Christian politicians used by the governing majority to obtain a cross-communal legitimacy. His greatest strength lay in his name and party affiliation, and what they could echo within the Christian community (though it wasn’t enough to get him elected in a Christian constituency). For the past week, I have been hearing people question the meaning of celebrating independence day this year, amid the political crisis that’s has been growing, with the resignation of six ministers and the calls for demonstrations and strikes coming from Hezbollah and the FPM. I couldn’t understand why we shouldn’t be celebrating our recovered independence. Withstanding the interference of a dozen countries in our internal affairs and the presence of a large multinational force in the south of the country, our elected politicians are in control of public affairs and use their links with embassies to further their goal. It’s more of a local exploitation of international ties, than international meddling in local politics. These debates and discussions seem futile and remote today, after the brutal assassination of Pierre Gemayel by unmasked men in broad daylight. One thing is for certain, the day was one of sorrow and morning and all celebrations and official gatherings were cancelled. Pierre Gemayel fell earlier today into a well-coordinated attack: One vehicle cut off his car from the front, another rammed him from behind, then gunmen burst out and sprayed a dozen bullets into his driver-side window, killing him and one of his bodygards, Samir Chartouni. The young Minister of Industry was driving back from a funeral he had attended in Jdeideh. He had been accomplishing his ‘social duties’ as a any traditionnal lebanese politician by visiting their constituency on socially important occasions (baptism, mariage, funeral, commemoration). Earlier that day, he had attended a wreath-laying ceremony in his hometown, infront of a Mausoleum-like monument built for his Grandfather and namesake by the Kataeb Party, controled by his father, former president Amine Gemayel. The slaying set off small outbursts of emotions and calls for revenge. Bands of young Christians broke car windows and burned tires and garbage cans in the eastern neighbourhoods of Beirut and its suburbs. The former president, and father of the assassinated politician joined other politicians in their calls for calm. The Lebanese army quickly stopped the unrest and set up checkpoints to prevent urther demonstrations. On national TV, Lebanese journalists and politicians started analysing the assassination. And having no information yet on the identity of the killers started speculating on their identity and intentions. It’s actually more of an art than a science, and it consists of transforming dead people into martyrs. The transformation is in truth more of a transfiguration or a transubstantiation. At first the portrayal of the dead person is very noticeably modified, in a very positive and spiritual way, and then his core substance or identity is transfromed, raising it above its human condition and adding an ethereal and saintly quality to it. This is very visible in the portrayal of some politicians who are representend in many posters alongside religious elements and visual borrowings from religious iconography. Lately, the political class followed by the media has created a new typology with ‘living martyrs’ besides martyrs. The living martyrs are those who have survived an assassination attempt, and the martyrs are those who were not so lucky. Their death is transformed into a heroic and salvatory act. Here again we notice a religious interpretation, with a lot of reference to the redemptive quality of the blood that they spilt. Cela fait plus d’un an que votre journal et ses nombreux éditorialistes font campagne, s’inscrivent dans le combat politique de certains politiciens, usent d’un ton partisan et moralisateur. Au départ, cela pouvait être justifié par la théorie des circonstances exceptionnelles. Le Liban vivait un moment important de son histoire, celui de sa libération du joug syrien. Il est possible de comprendre que les journalistes veuillent participer à cet effort, y contribuer avec les moyens à leur disposition. Mais pendant combien de temps peut-on justifier de l’abandon des règles élémentaires du journalisme au nom des circonstances exceptionnelles? A quel moment doit-on prendre conscience que ces pratiques qui perdurent se transforment en mauvais pli, et que la presse libanaise y perd son caractère justement exceptionnel dans l’espace arabophone. Avez-vous compté dernièrement le nombre d’éditorialistes parmi vos journalistes politiques ? Est-ce que cela ne vous ennuie pas que leurs informations proviennent quasi-exclusivement d’un échange téléphonique, d’un déjeuner ou d’un dîner avec un politicien ou un ambassadeur ? N’avez-vous pas senti une certaine convergence gênante entre eux et leurs sources ? Comment le justifiez-vous ? On pourrait penser que c’est une sorte de retour du refoulé ; une réaction du journalisme libanais longtemps soumis à un système de censure puis d’autocensure qu’il avait pleinement intégré. N’utilisait-il pas les règles journalistiques comme paravent à cette autocensure durant ces longues années d’influence syrienne, d’abord diffuse au sein de la classe politique puis (malencontreusement pour ses bénéficiaires) centralisée sous les auspices d’une seule autorité ? Personnellement, je n’arrive pas à comprendre ce mauvais pli et encore moins à l’accepter. Et je remarque une nouvelle tendance qui m’inquiète, un recours progressif dans le discours politique et journalistique à un discours et à des référents religieux. J’en ai noté au moins six dans votre dernier éditorial qui trait d’un ancien chef de milice : Martyrs, lavé du crime, ‘forces du mal’, ‘comme transfiguré’ ‘épris de paix et de sagesse’, enfer. Comme quoi, en dépit des conflits politiques et des prises de positions divergentes, les politiciens, hommes de religion et journalistes libanais se retrouvent au moins au niveau du vocabulaire. I talked to an Israeli youth activist today, in private, in public and in front of a camera. I couldn’t understand what all the fuss was about. Why should anyone care if I talked to an Israeli or not? Why does it even interest the media? and why did the other participants refuse to do it or acknowledge it? I’ve been brought up with the idea that it was prohibited, but is it really? Is there a law against it? Can anyone give me a reference to this law? Even if this law existed, how come those who talked to a Knesset member who came to Beirut through Syria were not prosecuted? Is it because Azmi Bichara is not jewish? What kind of selective justice is that? In Nicosia, the flags are used as a language. On one side we see the turkish flag and the northern flag, in the south we see the greek flag and the southern flag. This display doesn’t follow any institutional reason, the southern republic has no institutional ties with Greece and follows no panhellenic program. The only reason the Greek flag is flying is to parallel the Turkish flag that is flying on the other side. It’s dialogic.